CWA members at AT&T Southeast are holding informational pickets and stepping up mobilization to make sure the company knows they're determined to reach a fair contract. 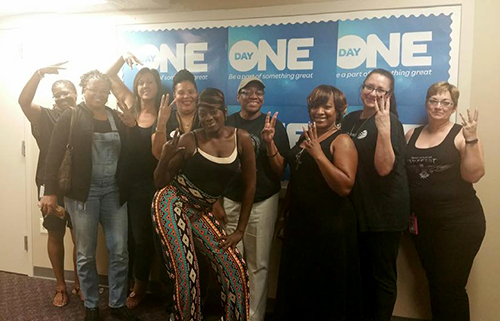 CWA Local 3122 members in Miami show their support for the bargaining team. Every Thursday, call center workers wear red and network workers wear orange. Members of CWA Local 3201 are wearing black for Black Friday. Members are mobilizing at the National Consumer Center office in Albany, GA.